We are debuting Elg Chair at DesignTo 2019. 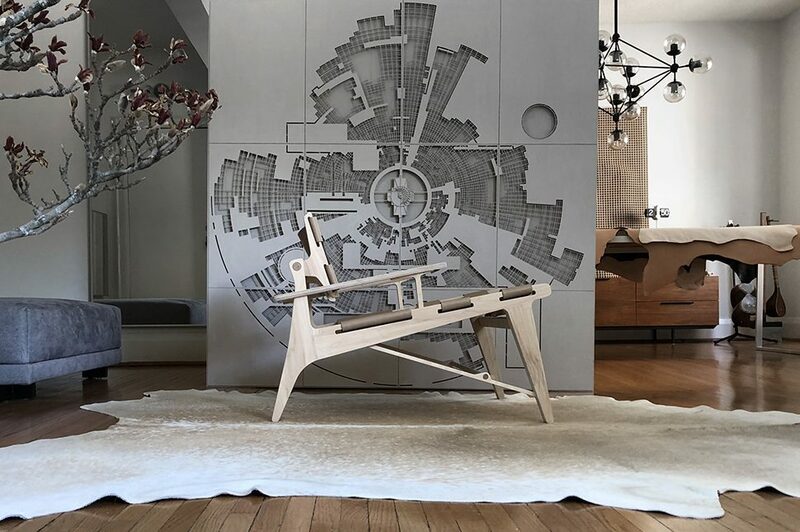 From Jan 19 to Feb 7, 2019 Cosentino City Toronto will exhibit Elg Chair and the two latest additions to our Ice Cities series; a collection of 2D and 3D montages through which we develop and represent our thoughts on urban and built form of cold climate cities, from Jan 19 to Feb 7, 2019. China | VR & Film Technology Campus | 160,000 m² | Land Acq. World War I Memorial, Washington DC. The question of ‘scale’ is one that requires an urgent attention in design our built environment. Consequently, defining what constitutes “the right scale” is an inevitable first step to addressing such an issue. In ArkiTalks we write about built form at human scale, as we experience (vs. understand) it in our daily lives. It is about reflecting on deconstructing our surroundings and on how they influence or body/psyche to create varying and contradictory senses of pleasure, discontent, or apathy. In CitiTalks we write about assemblies of built forms and how they, and their relationship to one another, affect our collective life and spirit. What distinct Arkitalks from CititTalks is the scale of built forms each of them investigates, and the different kinds of complexities they are a result of, or themselves result in.